The irony of Matilda Bay's latest billboard, drawing attention to their rather excellent (if you can find it) brew bar, is rich. 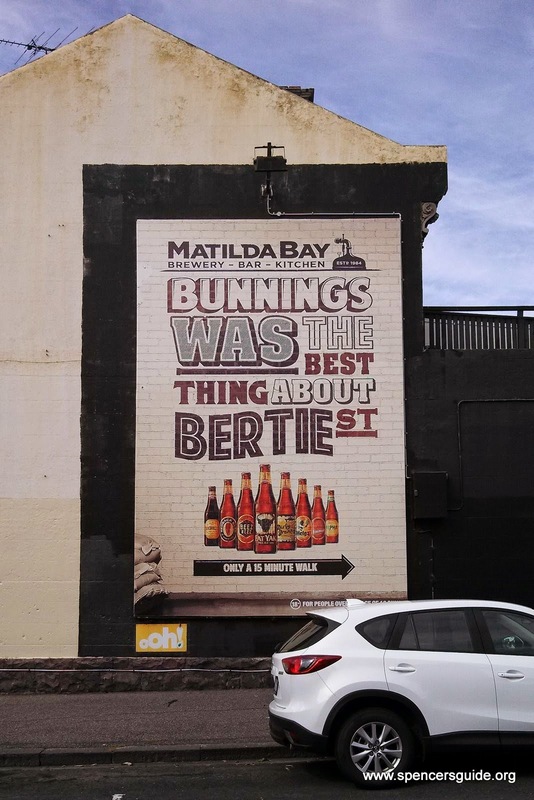 As thanks to the corporate know-it-alls that have already seen Australia's original craft brewery unceremoniously dragged from Perth to Dandenong to Port Melbourne, come March next year Bunnings will revert to being the best thing about Bertie Street. It seems that the award winning Alpha Pale Ale, like the rest of their range, is destined to arrive by big red boat having been brewed at Hobart's mega-brewery; thus consigning Matilda Bay to be just another fake craft badge applied to CUB's yawn-worthy portfolio. And of course it means the loss of our very own local brewery, make the most of this little hidden gem whilst you still can. The brewery may still be going, but the bar is long gone!